While some advisory practices find success in geographic focus, others trot the globe to serve sector-specific clients. This past year saw significant growth in global investment banking as net revenue increased in 2017 to $82.4 billion from $75.6 billion in 2016, according to Dealogic. Sectors that experienced double-digit growth were business services; communications, media and entertainment; financial institutions; healthcare; and industrials. 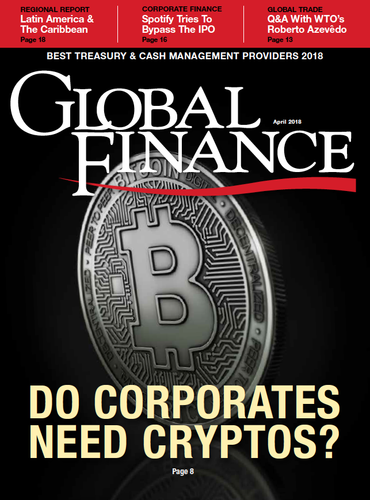 A focus on sectors ripe for consolidation—business services, financial institutions, healthcare, industrials and communications, and media and entertainment—is pushing the industry forward as banks look to help clients maintain momentum, develop strategic partnerships, strategize businesses and become global leaders. Global Finance sectoral awards—given to a total of eight banks in 12 different sectors—recognize exceptional service delivery for each market. Specializing in a specific sector can often create a global practice, and maintaining and growing a global practice requires developing a specialist industry within a team and building extensive relationships with industry participants and, depending on the sector, governments and regulatory bodies. The investment banks named in the awards were best able to bring their experience and knowledge to achieve results for clients. Like most sectors, metals and mining is a global business, and companies within this sector operate and invest across jurisdictions and around the world. These companies are dedicated to the location and extraction of metal and mineral reserves around the world, says Ilan Bahar, co-head of Global Metals & Mining at BMO Capital Markets, which was awarded the 2018 prize for Metals & Mining. 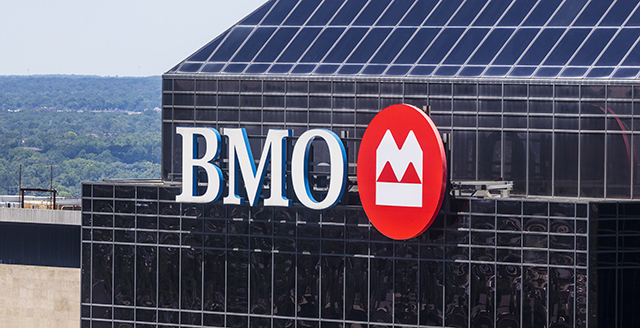 BMO closed nine deals with a transaction value of $3.63 billion, according to the company. Metals newly important in the digital age, such as lithium and cobalt, are an integral part of the move toward electrification of vehicles and, as such, an increasing point of focus for investment bankers. Although electric cars are still a small percentage of all cars on the road—a mere 2.8 million electric compared to 1.5 billion oil-fueled vehicles, according to IHS Markit—robust growth in sales is projected. The number of electric cars could grow to 36 million by 2025. Investment banking doesn’t come without its challenges, though. Some affect every sector, like geopolitical risks and a lack of stability in tax and royalty regimes. For metals and mining, BMO cites a lack of skilled labor, scarcity of significant discoveries despite investment in exploration, permitting timelines, and lackluster commodity prices that do not attract generalist and retail investors or incent substantial project development. Raising equity capital is another hurdle. Even so, with bankers located in Toronto, Vancouver, New York, London, Melbourne and Beijing, BMO has managed to close a number of deals, notably the Nexa Resources IPO that raised $570 million. “This was one of the largest mining IPOs in the history of the TSX and the largest North American metals-and-mining IPO on the New York Stock Exchange since Franco-Nevada in 2007,” Bahar says. Through its office in Beijing, BMO advised Yancoal on a strategic partnership with Glencore Coal in a transaction worth $1.1 billion. Goldman Sachs took prizes this year in multiple sectors, having raised $649 million in the Consumer sector (7.5% share of the industry), $992 million in Industrials/Chemicals (7.4% share) and $270 million in Media and Entertainment (5.7% share). Another bank that took prizes in multiple sectors—namely, Real Estate, Telecommunications, and Financial Institutions— was J.P. Morgan. The bank raised $401 million of revenue in real estate (8.5% industry share) and $1.3 billion in revenue from financial institutions (7.2% share). Within the Oil and Gas sector, Barclays took top honors, having raised $502 million in revenue (4.8% share). Morgan Stanley is honored in the Power sector, with $461 million (4.4% share). Bank of America Merrill Lynch won the prize in Healthcare, with $470 million in revenue (6.6% share). Credit Suisse was named as top investment bank in the Technology sector, with $556 million (6% share). Macquarie Capital was the only Australian name on the leader board, winning this year’s sector prize for Infrastructure.Macquarie Capital has a team of specialists across North America, Europe, Asia, Australia, New Zealand, Africa and the Middle East, and has worked to pioneer new sectors, create new structures and instruments, make new cross-border connects and reopen infrastructure markets that closed during the global financial crisis. The bank focuses on infrastructure for transportation, power and utilities, renewables and social uses (courts, hospitals, prisons and schools). In August 2017, Macquarie joined with the Green Investment Bank to broaden its green-energy capabilities. Opportunities for infrastructure are promising. While many countries look to modernize and build infrastructure, US President Donald Trump has announced plans to rebuild infrastructure for the US with a $1.7 billion plan that’s a combination of federal, state, local and private funding. Also, countries participating in the Paris Accord will work to transform their infrastructure to meet specified targets. Funding for development, construction and aggregation is required by countries and companies along the way. Along with winning a Deal of the Year award, Macquarie Capital, through the Green Investment Group (GIG), raised about €800 million in equity and debt funding with co-sponsor GE Energy Financial Services for the Markbygden 650MW Wind Farm in Sweden. This will be the largest onshore wind farm in Europe to date, according to European Investment Bank, with 179 turbines located in northern Sweden that will increase Sweden’s installed wind generation by 12.5%. The project is expected to be fully operational by 2020 and was financed by GIG and GE on an all-equity basis prior to the deal close. The energy produced via the wind farm will be sold to a subsidiary of Norsk Hydro, one of the world’s largest aluminum producers, through a 19-year fixed volume power purchase agreement. This agreement demonstrates the importance of renewable energy for industrial producers.